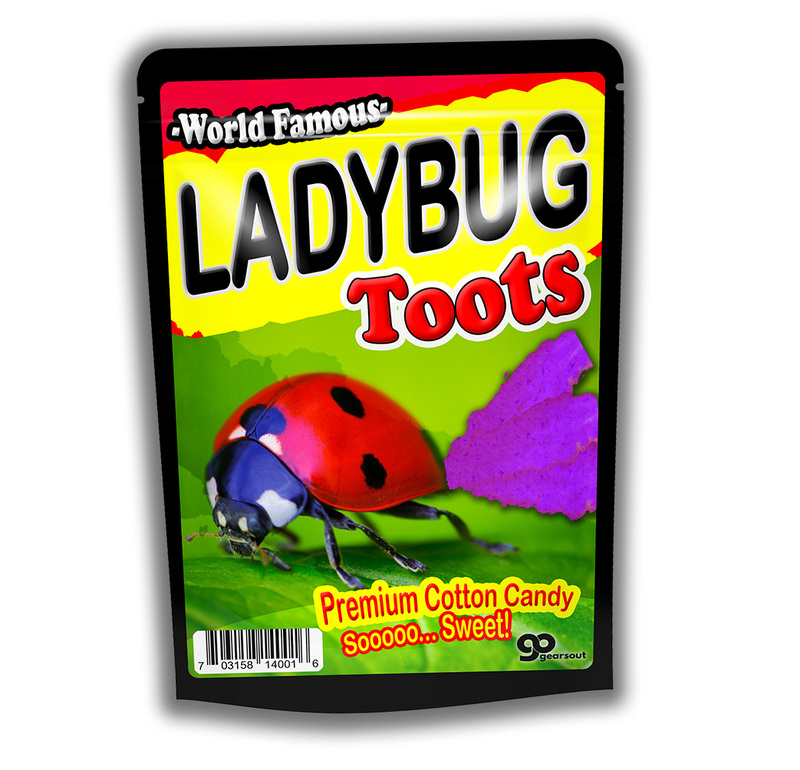 Ladybug Toots Cotton Candy is a sweet giggle for those lucky boys and girls who love finding unexpected fun. 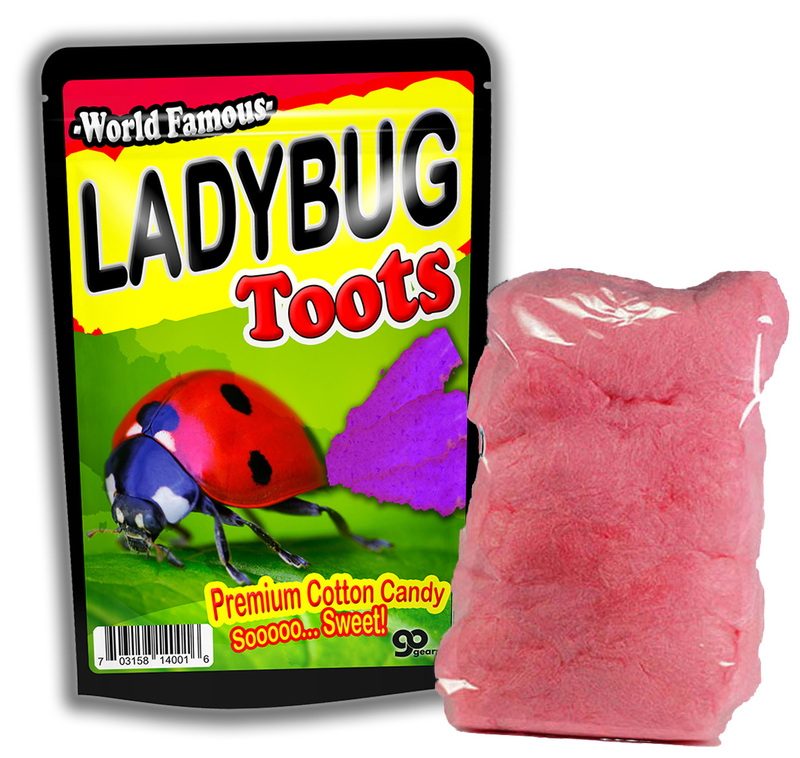 Give them the gift of their own tooting ladybug full of delicious, pink cotton candy. 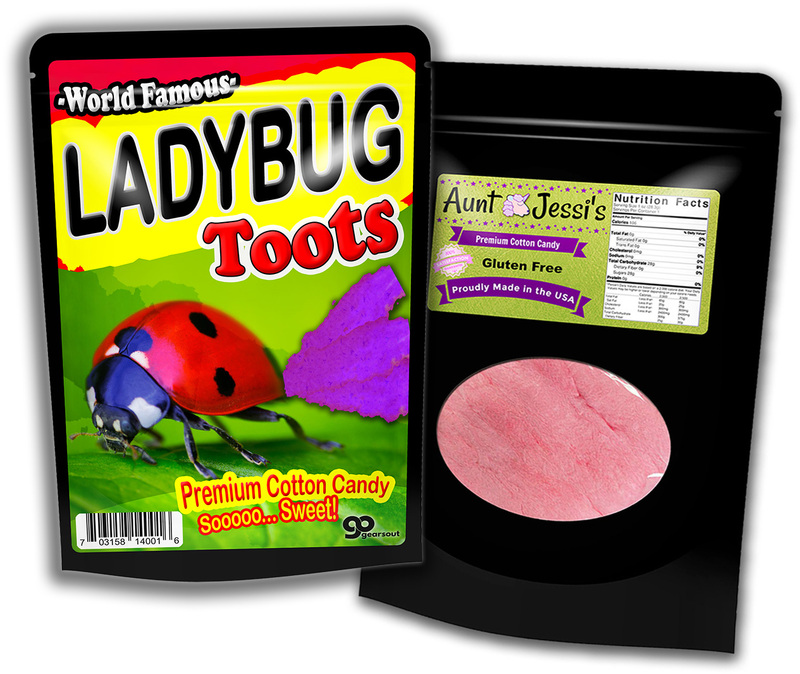 Our sugary, gluten-free Ladybug Candy is light-hearted chuckle for those who appreciate the smiles that even the littlest of treasures can bring. Ladybug Toots Cotton Candy is a cute gift for family and friends who love strange gifts. This playful gag gift is perfect for the ladybug-collecting candy lover on your gift list, no matter what you’re celebrating. Add a bag to care packages and birthday gift baskets or leave it as goofy surprise. At Christmas time, slip some in as a funny stocking stuffer or wrap it up for a Secret Santa gift.